« Erinnern für die Zukunft – 70 Jahre danach ». « Remembering for the Future - 70 Years Later » : This is the theme for a series of events to which ALF founder Simone Liebster was invited and which focus on the persecution of Jehovah’s Witnesses during the Third Reich. The events are being held in the region of Münster (North Rhein-Westphalia) and will continue until October 16, 2009. The series opened with a press conference on August 31, 2009, in Lüdinghausen Castle. Simone Liebster, front right. 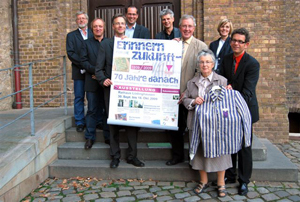 Rear (left to right): Peter Zellin, Dr. Alfons Kenkmann (historian), Dr. Ansgar Scheipers, Dr. Markus Köster, Dr. Hans Wupper-Tewes, Alfred Holz (mayor of Senden), Liane Schmitz (Lüdinghausen city archivist), Thomas Malessa, organizer. On September 2, Karin Reismann, mayor of Münster, received Simone Liebster for a reception in the historic Hall of Peace (Münster City Hall), where the Treaty of Westphalia was concluded in 1648. 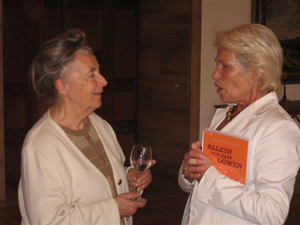 Simone Liebster signed the Golden Book of the city. Simone Liebster presented her autobiography Facing the Lion to Karin Reismann, mayor of Münster. 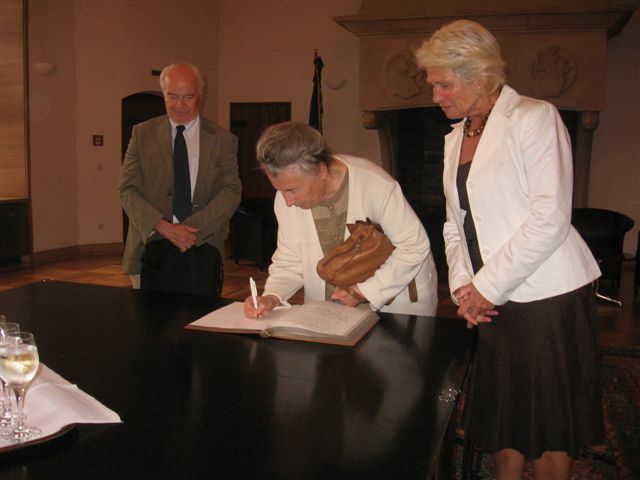 Simone Liebster signs the Golden Book of the city of Münster in the presence of Mayor Karin Reismann and Professor Feliks Tych. 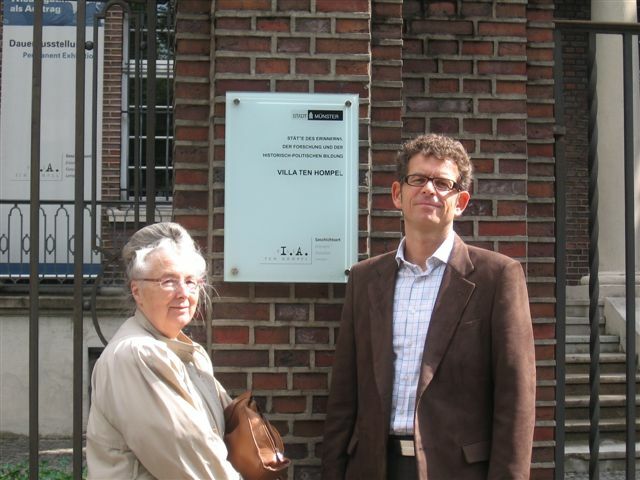 On September 5, Simone Liebster visited the tragic memorial for the Villa ten Hompel in Münster, known as the “villa of bureaucratic crimes,” where among other things, the deportation and extermination of the Jews and Sinti and Roma was orchestrated. Simone Liebster and Thomas Malessa in front of the Villa ten Hompel.